In my last post I had mentioned about getting rid of dark circles. 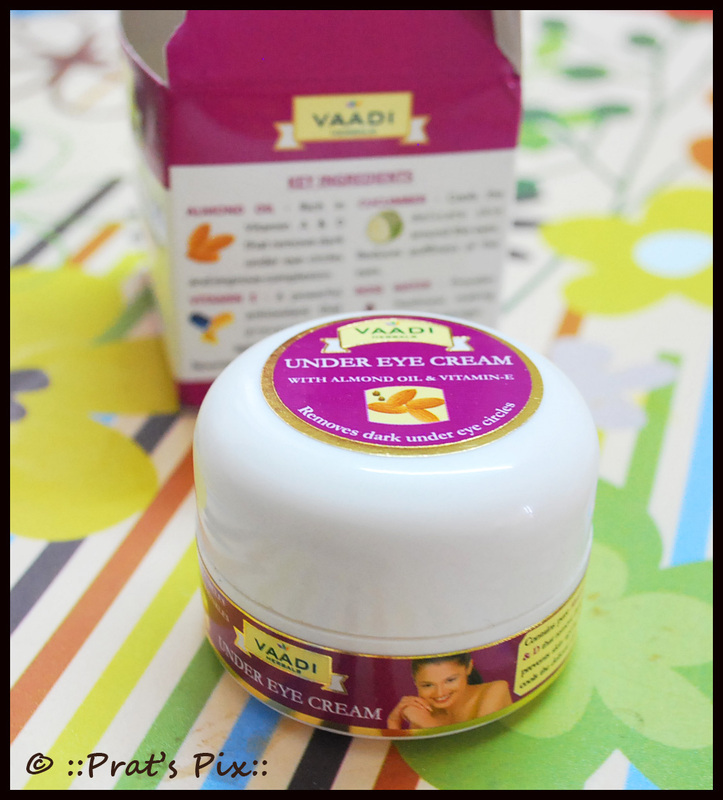 Today I will review an under eye cream that is supposed to be good to battle the dark circles under the eyes. 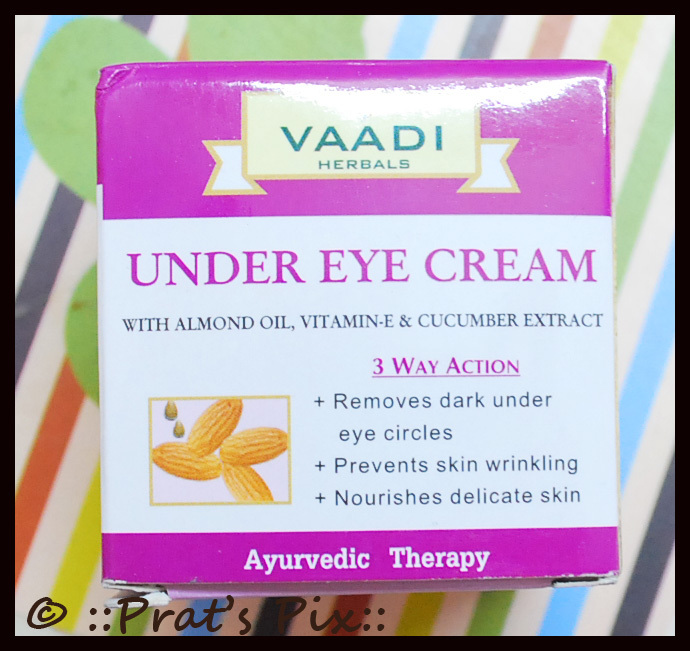 The cream I mention here is the Under Eye Cream with Almond oil, Vitamin E and Cucumber extracts by Vaadi. This comes in a sturdy small plastic jar. It is a very travel friendly jar that can easily fit in a corner of your purse! It had a lid as a protective measure, but I took this out as I generally store my creams in a small cabinet. The cream is pure white in colour and the fragrance is really nice. It is mild, but lingering. 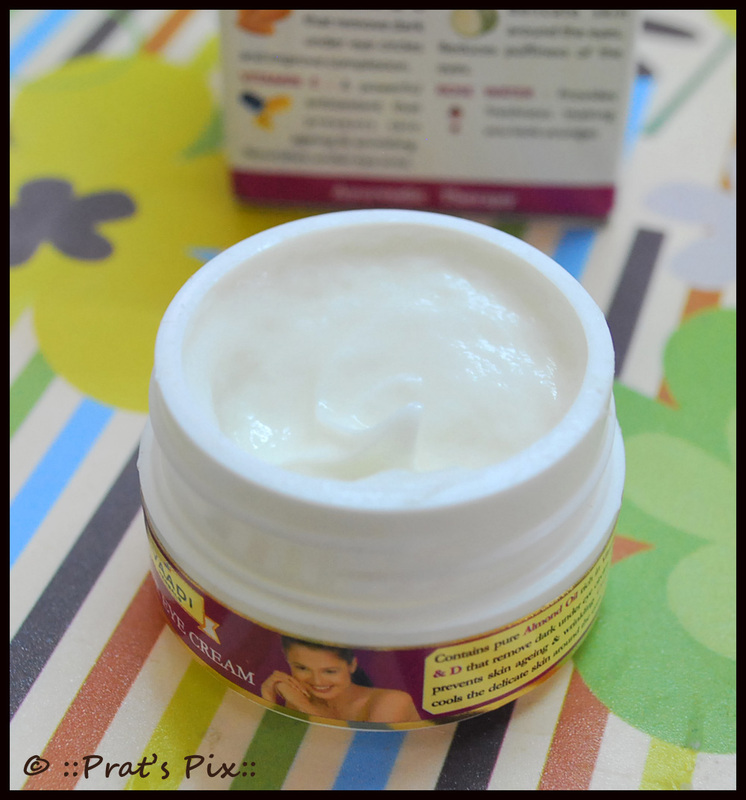 Since my complexion tends to get a bit oily during the summers, I found this cream to be slightly greasy. I would have liked it to get completely absorbed in the skin. I expected some kind of a cooling effect because it contained cucumber extract as well as rose extracts. And I was not mistaken. Your eye area feels cool for a couple of minutes after application. I liked this because it helped relax the eyes. How to use: Take the desired amount of cream on your ring finger and apply in slow circular motions around the eye area. Why do I mention the ring finger? Because this is the finger that exerts the least amount of pressure, so using it to massage around the eye won’t hurt it. Apply daily under the eye in the morning and before going to bed. I still have the dark circles, but the area around my eyes are certainly softer and seem to be clearing up a bit. Price: This is priced at Rs. 48, Goodlife is currently offering a discount on the cream and you can but it for Rs. 43.20. 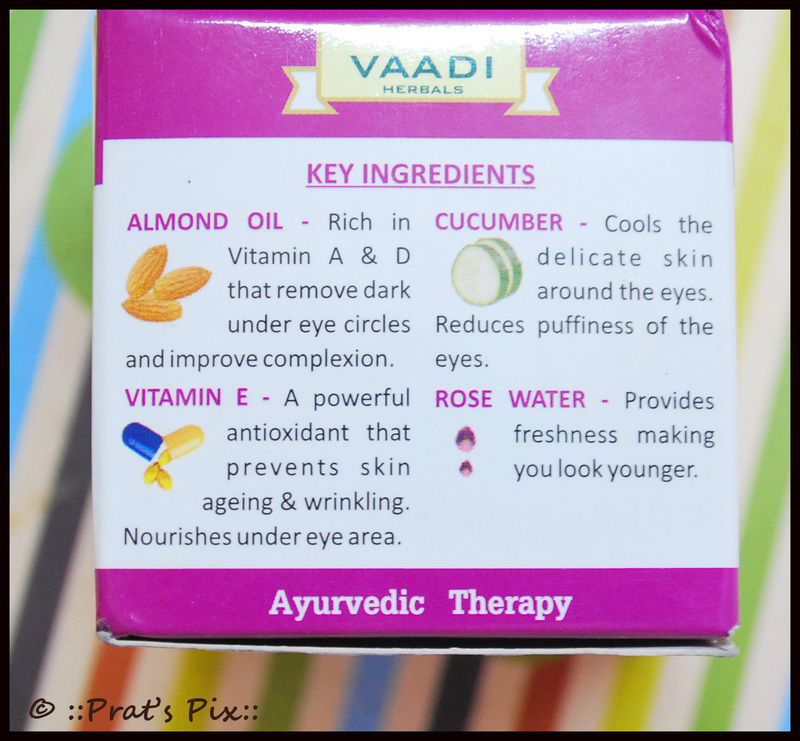 Almond Oil and Cucumber extract based Ayurvedic Therapy that prevents skin wrinkling, nourishes delicate skin and removes dark under eye circles. Where can I buy this? : I bought this from Goodlife. To purchase this product, click here. Good that cream do a little hep to treat dark circles under eye. Eat healthy and sleep much. 🙂 Of course that applies too!